This new processor is expected to be more powerful than the Samsung Exynos 7420 and various sources claim it will hit the market next year. Samsung is not the only phone maker to slowly move away from Qualcomm by making its own mobile processors, since LG already launched its first Nuclun chip. 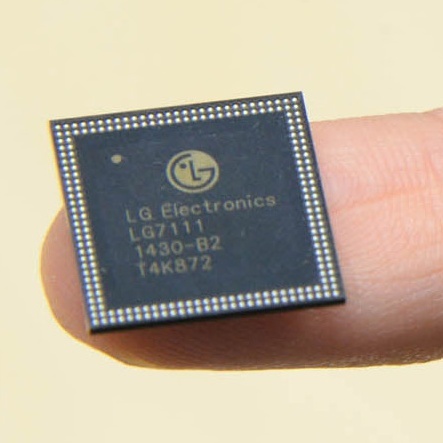 That chip entered mass production last year and is currently used for the LG G3 Screen handset. Now, it looks like the Nuclun 2 is being developed with the help of Intel and TSMC. According to Business Korea, industry insiders revealed that "LG Electronics is currently moving to pilot production of ARM-based 64-bit mobile AP called the Nuclun 2 by using Intel's 14-nanometer FinFET technology and TSMC’s 16-nm FinFET technology." The chip is said to be an octa-core part with four ARM Cortex-A72 cores at 2.1 GHz and four Cortex-A53 ones at 1.5 GHz. While the Nuclun is slower than the Exynos 5420, leaked benchmarks of the Nuclun 2 revealed that the new chip is already faster than Samsung's high end SoC currently on the market, namely the Exynos 7420. We will probably hear more about the new chip in the months to come, so stay tuned.